1、If the vehicle has no license plate, label of inspection or label of insurance, preserve thescene and immediately report to the police. 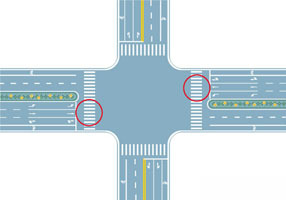 2、Which lane to choose when turning left in this intersection? 3、In a vehicle that has safety belts, the driver should request the passengers to buckle up. 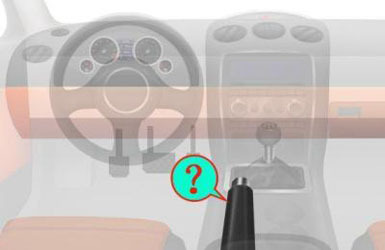 4、Which kind of vehicle can be driven if the authorized vehicle applied for is small motor vehicle? 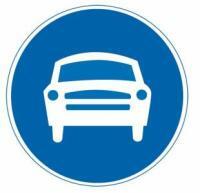 5、At this position, the motorized vehicle can continue to go through if the front wheels havepassed the stop line. 6、When the motor vehicle installed ABS system applys emergency braking, the driver candepress the brake pedal heavily. 7、When the fire engine, ambulance and wrecker are executing an emergency task, othervehicles Should yield. 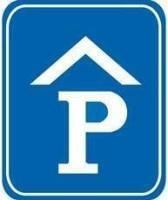 8、Which kind of sign is it? 9、When the driver is suspected of drinking or drunk in a traffic accident, preserve the sceneand immediately report to the police. 10、When driving in windy, rainy, snowy, foggy and other complex weather conditions, thedriver should turn on the head light, honk continuously and overtake rapidly if the vehicle infront goes slowly. 12、The method of this small passenger vehicle to leave the expressway lane is correct. 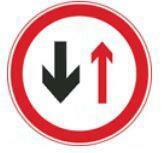 13、Turn on the right-turn signal and return immediately to the original lane afterovertaking. 14、What marking is the road mark in the circle? 15、What is this manipulation device? 16、You have the priviledged passing right of way in this situation. 18、Whats the meaning of this mark on the road? 19、It lights if left door is not closed. 22、Motorized vehicles should pass the intersections according to the traffic signals. 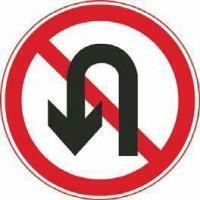 23、Cannot make a U turn in ths section. 24、Whats the meaning of the white horizontal solid line in the circle? 25、If a driving license is obtained by deception, bribery or other illegal means, the drivinglicense should be revoked and the applicant is not allowed to re-apply for it _____ . 26、One can drive the small motor vehicle with automatic transmission if the authorized vehicle appliedfor is small motor vehicle. 27、When driving at night on a road that has good lighting, the driver should use _______. 28、What is the max speed when passing a level crossing? 29、In which situation that a driver cannot drive? 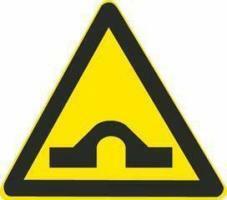 30、When a vehicle passes a bumped road, the driver should ________. 31、What kind of device the safety bags are? 32、Which shoud be taken along while driving? 33、You can not drive a motorized vehicle into the lane where the red X-shaped light or thered arrow light is on. 34、When a vehicle goes downhill, it may fully use the neutral gear and slide. 35、The vehicles are prohibited from passing when encountering this traffic light at theintersection. 38、Traffic Police can detain the vehicle according to law if it is suspected of using the labelof insurance from other vehicle. 39、What kind of violation does this car have while stopping temporarily by the roadside? 40、What does this symbol indicate? 41、When encountering an overflowing bridge, the driver should look at the situation, andpasses through slowly before he makes sure that it is safe to do so. 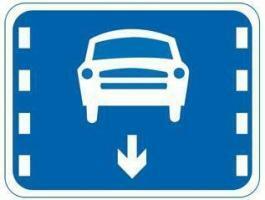 42、This sign reminds the lane for non-motorized vehicles ahead. 43、When a vehicle runs on an expressway at the speed of 100 kilometers per hour, its safedistance from the vehicle in front is not less than 100m. 44、When a vehicle overtakes the bike riders going in the same direction, the rational way todeal with is to ________. 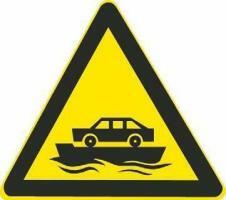 45、This sign reminds an unmanned level crossing ahead. 46、When a motorized vehicle crosses a non-motorized vehicle on a narrow road or a narrowbridge at night, the motorized vehicle should use the high beam light. 47、When the green arrow for a lane is on and there are still pedestrians in the crosswalkbefore the vehicle, the driver should ___________. 48、When a vehicle goes downhill, the driver should properly control the speed and fully usethe engine to brake. 50、Which of the following vehicle in front in the same lane is not allowed to be overtaken?